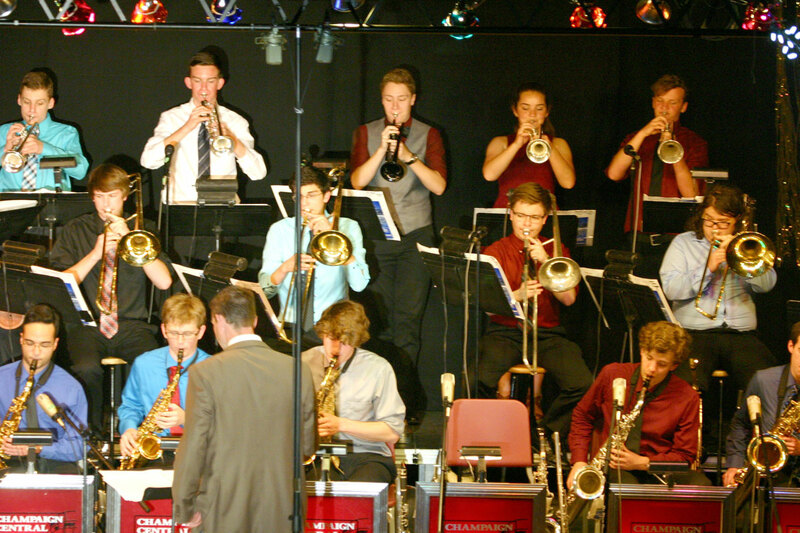 The jazz program at Central High School includes three jazz bands and three combos. Participation in the program is by audition at the beginning of the year. The Stage Band is an intermediate to advanced level big band. Participation in the Jazz Ensemble requires a considerable commitment including rehearsals before school three mornings per week, sectional rehearsals outside of the school day and a busy performance schedule. The group performs at local events and travels to local and national jazz festivals. The Lab Band consists of beginning and intermediate musicians and serves as a gateway opportunity for students who are new to jazz. The three Jazz Combos offer select students an opportunity to sharpen their improvisation skills. Will help from their directors, combo members choose and arrange their own music, create their own rehearsal schedule and even book their own gigs. They perform locally at civic functions and at festivals and competitions. Central’s Jazz Ensemble has been accepted as one of 15 Finalist Bands at this year’s 23rd Annual Essentially Ellington Festival to be held May 10-12 at Jazz at Lincoln Center in New York City. Congratulations!! Fundraising for the Jazz Ensemble! Eastern Illinois University Jazz Festival – February 11, 2017 There are two buses for this trip which have different departure times: Bus 1 students arrive at 7:15 a.m. Bus 2 students arrive at 10:15 a.m. Both buses will return to Central HS at approximately 7:45 p.m.